On American University Week: Have human rights helped shape U.S. foreign policy in the past? Sarah Snyder, associate professor in the school of international service at American University, looks into this question. 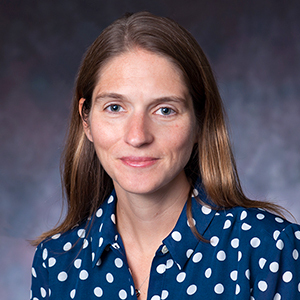 Sarah B. Snyder is a historian of U.S. foreign relations who specializes in the history of the Cold War, human rights activism, and U.S. human rights policy. She is the author of From Selma to Moscow: How Human Rights Activists Transformed U.S. Foreign Policy (Columbia University Press, 2018), which explains how transnational connections and 1960s-era social movements inspired Americans to advocate for a new approach to human rights. Her first book, Human Rights Activism and the End of the Cold War: A Transnational History of the Helsinki Network, (Cambridge University Press), analyzes the development of a transnational network devoted to human rights advocacy and its contributions to the end of the Cold War. The Society for Historians of American Foreign Relations awarded it the 2012 Stuart Bernath Book Prize by for best first book by an author and the 2012 Myrna F. Bernath Book Award for the best book written by a woman in the field in the previous two years. In addition to authoring several chapters in edited collections, she has also published articles in Diplomatic History, Cold War History, Human Rights Quarterly, Diplomacy & Statecraft, Journal of Transatlantic Studies, European Journal of Human Rights and Journal of American Studies. She previously served as a Lecturer at University College London, a Cassius Marcellus Clay Postdoctoral Fellow in the Department of History at Yale University, the Pierre Keller Post -Doctoral Fellow in Transatlantic Relations at the Whitney and Betty MacMillan Center for International and Area Studies also at Yale, and as a professorial lecturer at Georgetown University. Snyder received her Ph.D. from Georgetown, a M.A. from University College London, and a B.A. with honors from Brown University. When former Secretary of State Rex Tillerson suggested in May that values should not shape U.S. national security, he signaled a break with forty years of precedent and law governing U.S. foreign policy. How did human rights come to be a part of U.S. foreign policy? In the 1960s and 1970s, Americans pressed the U.S. government to take greater account of human rights abuses in formulating U.S. foreign policy. Their activism achieved congressional legislation that curbed military and economic assistance to repressive governments, established institutions to monitor human rights around the world, and shifted patterns of U.S. foreign-policy making for years to come. What motivated these activists? Most significant were their transnational connections. The 1960s offered new opportunities for Americans to travel and work abroad, and returning Peace Corps volunteers, missionaries, and academics were often attracted to human rights activism by their international experiences. Americans in these years were primed to care about human rights violations due the achievements of the civil rights movement, distress about the direction of U.S. foreign policy, and greater congressional activism in foreign affairs, among other factors. Inspired by their transnational connections, activists struggling against racial discrimination, torture, and religious persecution began to use the language of human rights, and they focused on the U.S. government as the entity that could have the greatest effect on human rights violations abroad. Their work led to ground-breaking legislation that targeted repressive regimes in Greece, South Korea, and Chile. Then, it undertook more comprehensive actions that limited assistance to any government that engaged in a “pattern of gross violations of human rights.” Equally significant was the institutionalization of attention to human rights in the State Department. The struggles of these 1960s-era activists have continuing relevance to debates over U.S. foreign policy today.